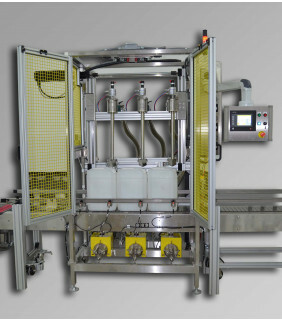 The ABA-FILL-BFxEA machine is an electronically controlled, fully automatic, volumetric machine which is designed to bottom fill half pint cans through 5 gallon pails. 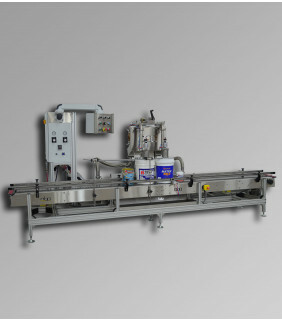 The ABA-FILL-BFxES is an electronically controlled, semi-automatic, volumetric filling machine which is designed to bottom fill liquids into containers between half pint to 5 gallons. 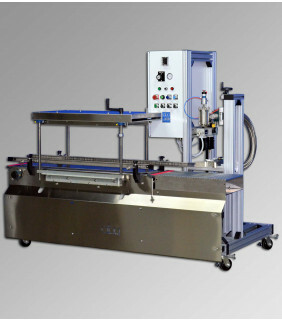 ABA has been a leader among companies supplying volumetric filling machines in the USA for over 2 decades. Our volumetric filling machines are available in both fully and semi-automatic versions and utilize our double acting positive displacement volumetric piston pumps. Our volumetric pumps are available to our clients in two sizes:1 gallon (5 liter) and 5 gallon (20 liter). Manufactured from stainless steel with Teflon seals and gaskets and quick release clamps, our pumps are both efficient, fast and easy to clean and maintain. The stainless steel cast and machined parts (including elbows, tees, and end caps) are made in the USA. Our filling unit pumps have product on both sides of the piston which keeps the seals and cylinder walls lubricated. Because of this feature, the accuracy, production level, and life of the pump, are increased. 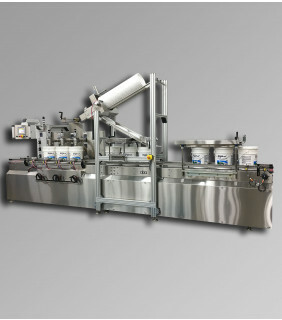 To properly and accurately handle the dispense volume into your containers, our volumetric filling machines control the stroke length. While single acting pumps are less expensive to manufacture, they tend to cause numerous issues including, but not limited to: the product drying in the rear of the cylinder, damaged component parts from excessive wear, and leaks. That is part of the reason ABA does not manufacture single acting pumps for their clientele. We believe that in the long run, the money, time and headaches saved by the client, will be well worth it. Why Choose ABA For Volumetric Filling? 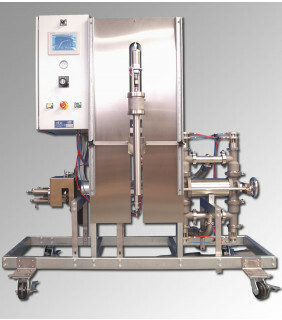 Presently, ABA has a long list of clients to whom we supply volumetric filling machines. Some of our prodigious clients include: PPG, True Value, Comex, Sherwin Williams, Rodda Paints, Henry, 3M, Home Harware, Nippon Paints, Yenkin Majestic, Zinsser, Rust-Oleum, Kelly Moore and numerous others. Our professionalism, quality custom machinery, and dedication to our clients have all contributed to making us a leader in our market. Our company tenet has always been to provide the best quality volumetric filling machines with unrivaled customer support and service. 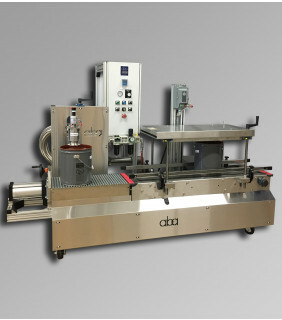 If you are looking for a top-level volumetric filling machine for your business, turn to ABA for high-quality machines. Call or visit us today to see why so many top companies rely on us for their volumetric filling needs.